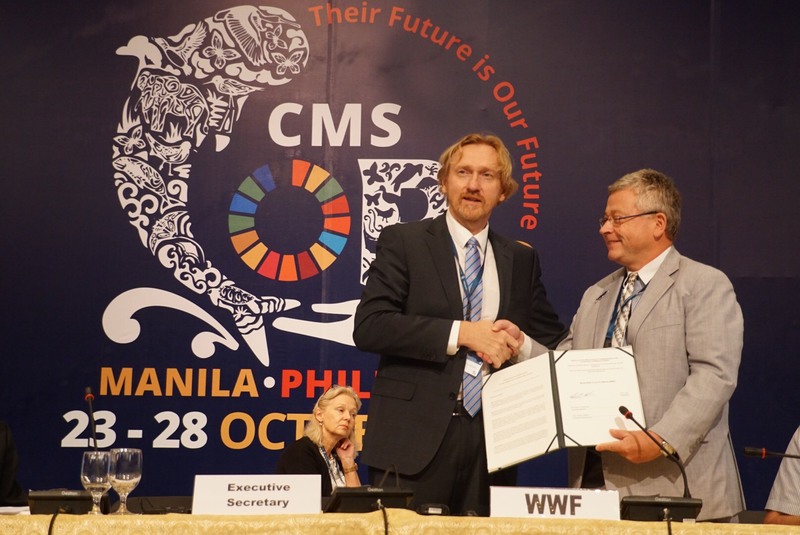 Manila, 24 October 2017 – at a ceremony held during the CMS COP and presided over by CMS Executive Secretary, Bradnee Chambers, four countries became members of CMS Memoranda of Understanding while the WWF and the Peregrine Trust became cooperating partners to the Sharks MOU and Raptors MOU respectively. 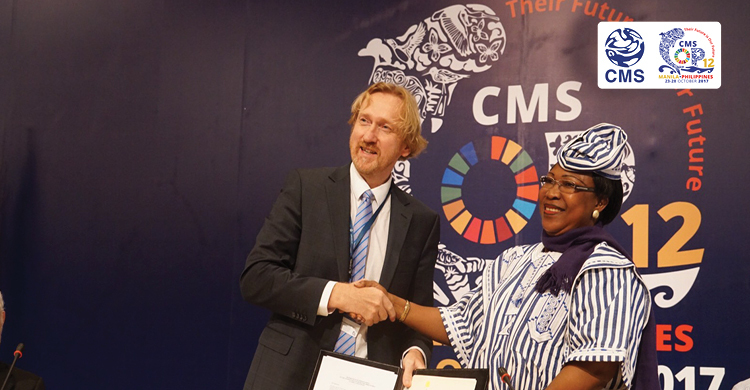 Burkina Faso signed the Memorandum of Understanding on the Conservation of Migratory Birds of Prey in Africa and Eurasia becoming the 58th Signatory to do so. 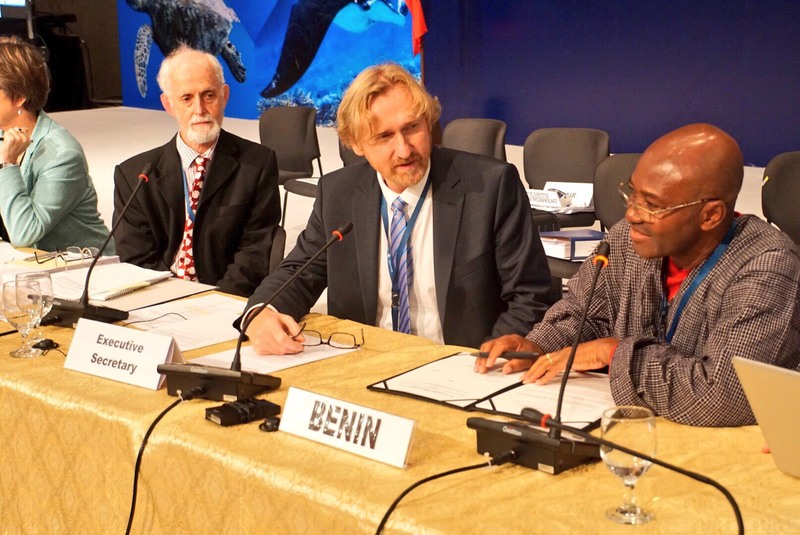 Benin, Brazil and Sri Lanka signed the Memorandum of Understanding on the Conservation of Migratory Sharks bringing its membership to 46. 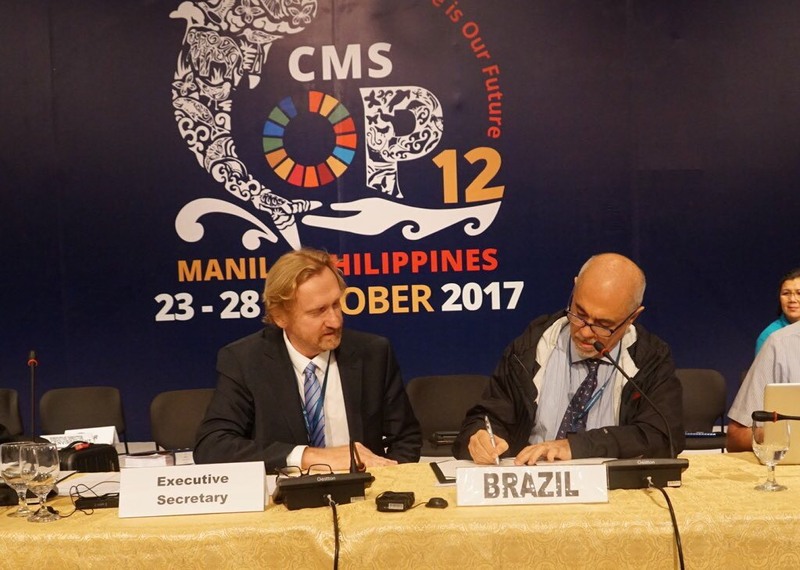 Ecuador became the 43rd Signatory when Minister Tarsicio Granizo Tamayo signed the MOU on Monday, 23 October. Madagascar indicated that it too would sign the Sharks MOU in the near future. 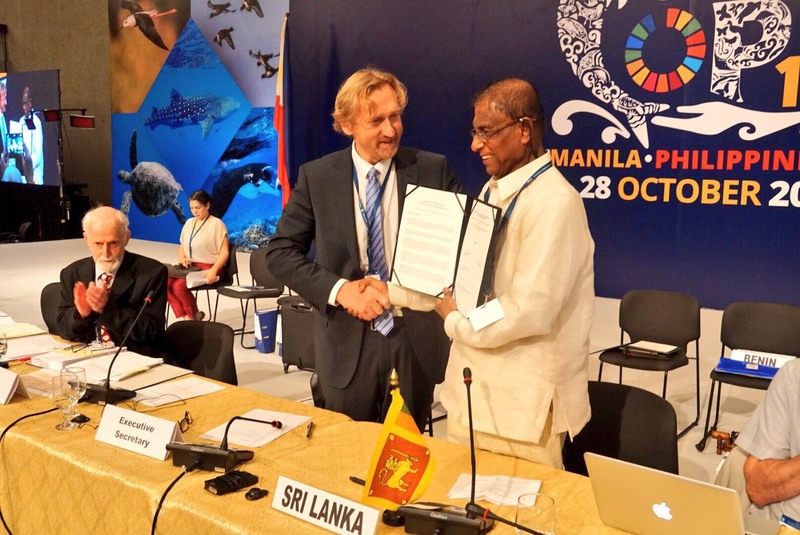 WWF joins the Humane Society International (Australia) and the Humane Society International (United States), IFAW, the Manta Trust, MarAlliance, Project Aware, the Shark Trust, Shark Advocates International and the Wildlife Conservation Society as a cooperating partner to the Sharks MOU. 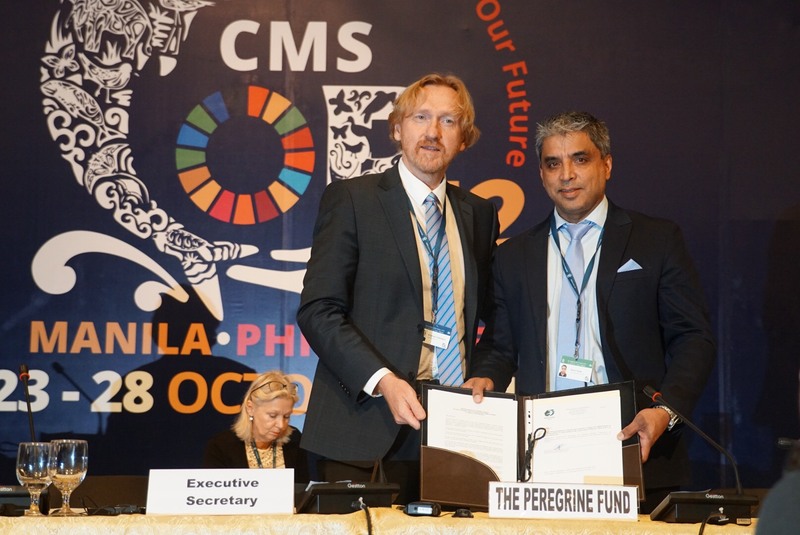 The Peregrine Trust joins four other Cooperating Partners, the CMS Secretariat, BirdLife International, the International Association for Falconry and Conservation of Birds of Prey, and the IUCN Species Survival Commission Vulture Specialist Group.